Japan represents one of the world’s most elegant, eclectic and harmonious cuisines. Spend your time seeing the sights and scouting out prized eating and drinking spots. Watch yakitori sizzling in front of you in Shinjuku's Memory Lane, eat fresh-off-the-boat sashimi and learn to make soba noodles in a hands-on cooking class. Glimpse a geisha drifting through the alleyways of Gion while in Kyoto and experience a charming obanzai dinner of Kyoto-style home-cooked dishes. Stay in a traditional ryokan in Takayama and eat vegetarian shojin ryori with monks in Mount Koya. If you're looking for a trip that tantalises the tastebuds as well as sates a sense of adventure, this Japan Food Tour Package ticks all the boxes. Konnichiwa! Welcome to TOKYO, the capital of Japan. New and old collide in Tokyo, Japan's capital city that never sleeps. Bursting with contemporary urban culture, there are many sides of Tokyo to explore, from fascinating museums and world-class shopping, to neighbourhood backstreets lined with restaurants and karaoke bars. 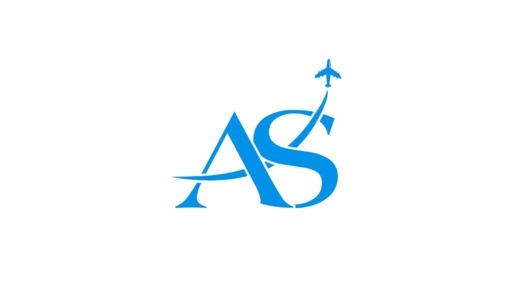 Upon arrival, you will be picked up by Asia Senses local guide then provided with transfer assistance via train or shared bus to hotel for checking in. Before the Japan Food Tour starts, follow your guide on a leisurely walk around around some of Tokyo's most well-known districts, including Shibuya, Harajuku and Ginza – variously known as the fashion centre, the skyscraper district, the home of quirky youth pop culture, and the upscale shopping area. Then head up the observation deck of the Metropolitan Government Building for a stunning night view of the city’s skyline. Today, your guide will take you for a morning walk around the famous Tsukiji Outer Market, where fresh seafood from Tokyo's largest fish market is delivered daily. 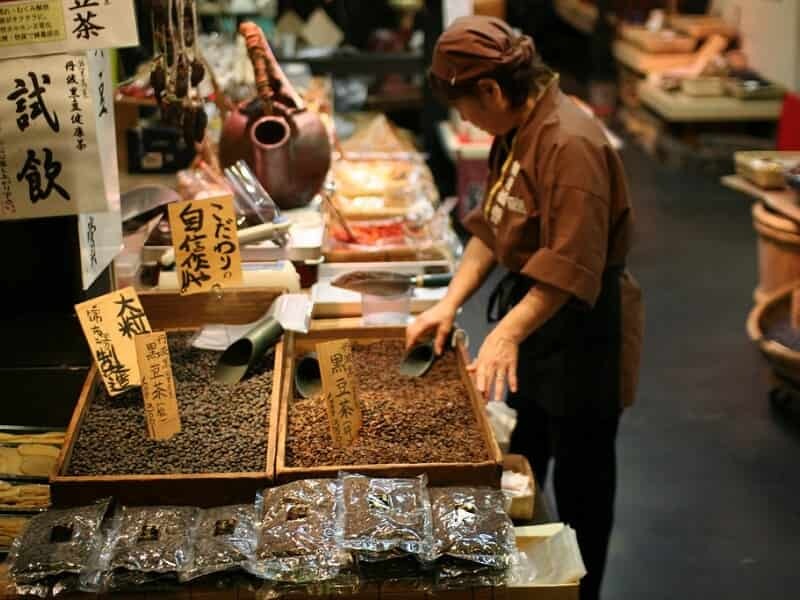 Wander the narrow aisles of this atmospheric marketplace to find all sorts of amazing food - from fish and shellfish to barrels of green tea, dried seaweed and all manner of pickled vegetables. Afterwards, pop into one of the many sushi restaurants nearby for the freshest breakfast you could hope for! Later, learn the art of creating soba, Japan’s famed buckwheat noodle, in a hands-on cooking class. Slurp up your creations for lunch. 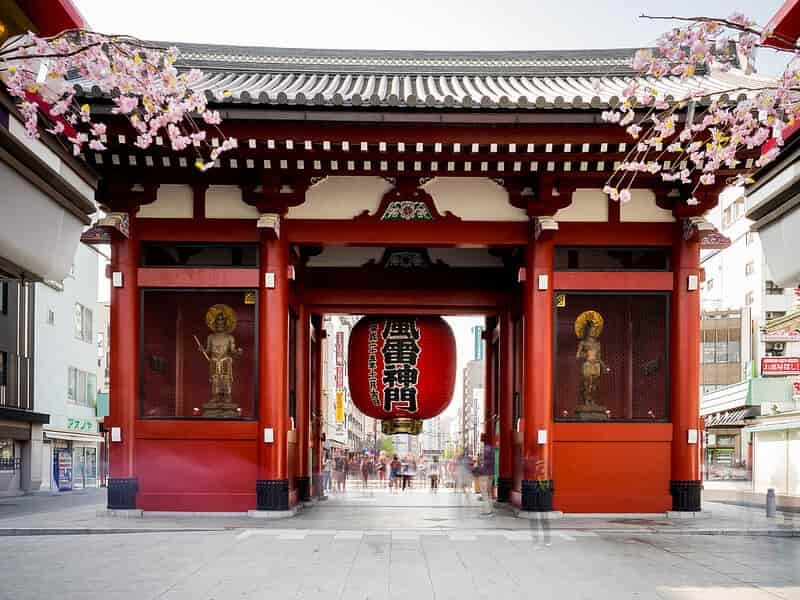 This afternoon you’ll take some time sightseeing in the historic Asakusa area. This is one of the older and more traditional parts of Tokyo, and is often called the temple district. Here you’ll stop by Senso-ji Temple, the city’s oldest temple – founded almost 1,400 years ago when Tokyo was nothing more than a fishing village. If you’ve got a sweet tooth then Asakusa is also a great place to satisfy a sugar craving – try fried sweet potatoes tossed in sugar, soy sauce and mirin, or sweet read bean paste sandwiched between baked pancake batter. Afterwards, consider heading to Tsukishima area to enjoy one of Tokyo's most popular dishes that you've probably never heard of – monjayaki. It's a type of savoury pancake that tastes a million times better than it looks! Today marks the journey to TAKAYAMA, a small town nestled high in the Hida Alpine region of Gifu Prefecture. Wave goodbye to Tokyo at super speed as you ride the rails on a bullet train. Travelling by Shinkansen is an absolute buzz, as you’ll reach speeds of up to 270 kmh. The first leg of the trip will be on a bullet train that can reach speeds of up to 260 kph. Next is on the limited express train Wide View, which offers one of the most scenic train journeys in Japan. Arrive in Takayama within approximately 5 hours (one stop). On arrival, you’ll stop into one of the region's prized sake breweries for a tasting. The alpine climate and crystal clear mountain waters are perfect for creating this signature drop. While on a food and culture walk tour in Takayama, keep an eye out for some of these popular regional dishes – mitarashi dango (rice dumplings roasted in soy sauce), houba miso (miso vegetables cooked in magnolia leaf) and chuka soba (Hida's favourite noodle dish). For the next two evenings you will stay in a traditional ryokan (Japanese inn). Rooms are equipped with thin futon mattresses that are spread on tatami mats for a comfortable night's sleep. 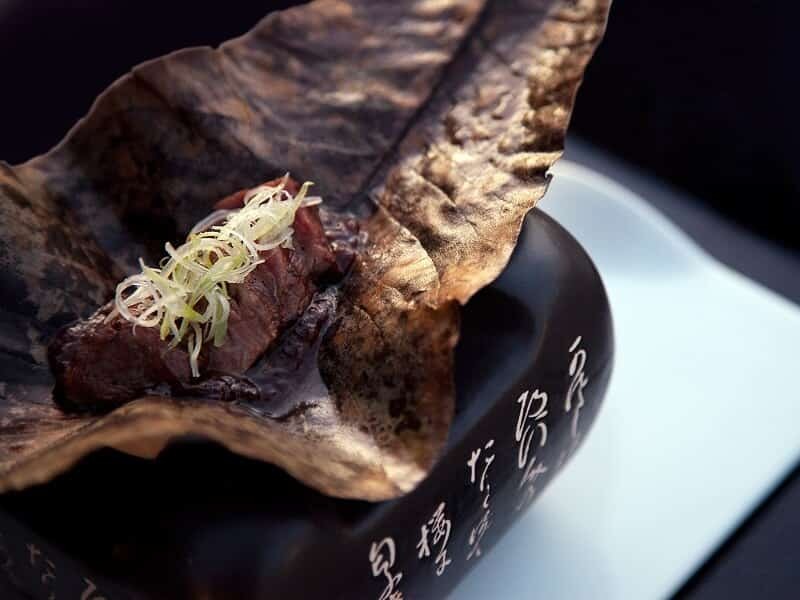 Over the next two evenings you will dine on regional Takayama delicacies, including hida beef. Overnight in a ryokan in Takayama. The Gifu prefecture is known to produce excellent high altitude vegetables and that is reason we put this place in our Japan Food Tour. Explore the morning markets that date back 600 years and browse the stalls of seasonal produce brought in from the surrounding countryside. Stalls are set up by local farm women from 6am every morning. Look out for the unique local style of pickles, the bags of miso wrapped in leaves, Genkotsu ame (soy bean candy), preserved fish, spices, and the delicious marshmallow treat of owara tamaten. Later, take a 15-minute train to Hida, then visit the nearby Hida Folk Village, an outdoor museum where the traditional thatched-roof architecture unique to the area has been recreated in a delightful mountain setting. Discover the techniques used to build farmhouses that could withstand fierce winters and long periods of isolation due to snow-closed roads. The thick thatching kept in warmth and the roofs were angled so as to minimise snow build-up. Each house is like it’s own self-contained museum, with displays of personal items and traditional tools. Around noon, take the 1-hour bus to SHIRAKAWAGO, a UNESCO World Heritage Site famous for its gassho-zukuri farmhouses. Gassho-zukuri means "constructed like hands in prayer," which is represented through the farmhouses' steep thatched roofs. This architectural style developed over many generations – the roofs were constructed without any nails and are intricately designed to withstand large amounts of snow. These houses are private homes of the locals but some are open to the public, such as Wada House, a legacy left behind by the Wada Family who used to be the richest family and village leader in Ogimachi. 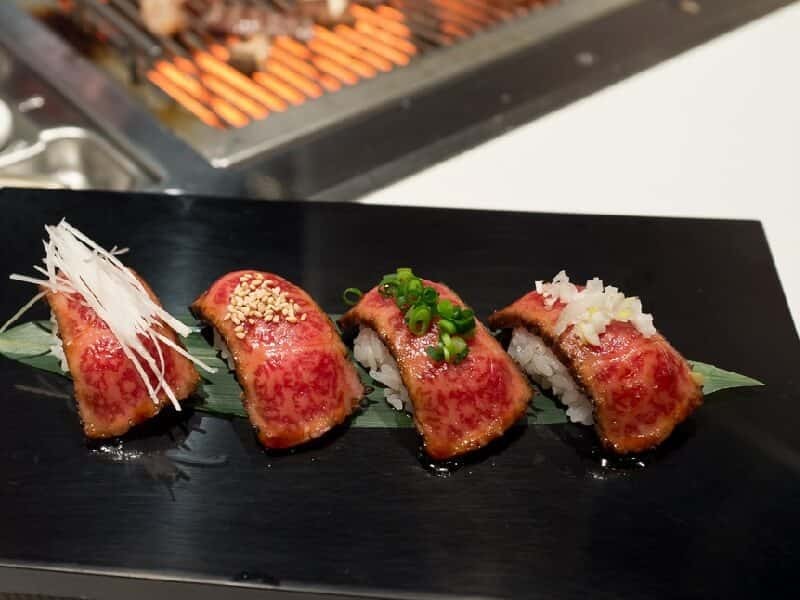 Tonight you'll sample some more of Takayama's signature dishes at a local restaurant, or queue for the famous Hida beef sushi in one of the special food stalls. This is a must-try in any Japan food tour package. Take the train from Takayama to the delightful seaside town of KANAZAWA (approximately 2 hours), which is sometimes known as the hidden pearl of the Japan Sea. Having avoided bombing in WWII, it's a place where both modern and traditional Japan are found. On arrival, visit the 17th-century Korakuen Gardens – highly landscaped acres of bridges, ponds, waterfalls and fountains that are beautiful no matter what the season. After that, follow your guide on an orientation walk to see the city's historic sight of Kanazawa Castle. Then check in a ryokan then spend rest of the day is free for your own exploration. In the evening, your guide can assist you to make a booking at one of the city's renowned seafood restaurants for a truly memorable meal and Japanese food package. Overnight in a ryokan in Kanazawa. Wake early and head over to the Omicho Market, where the city's quality foods and producers gather. Fish from Ishikawa prefecture is brought in from the port every morning and, as well as on sale fresh, there are also a number of restaurants in the market whip it up into special seafood rice bowls or sushi. There are almost 200 different stalls to get lost in. Have a breakfast and explore the city's unique food scene. Later, make your way to the 'Samurai House' in the Nagamachi district, where Maeda samurai lords provided their vassals with grand estates. Be transported back in time, with the house giving a good idea of the life-style of samurai during the Edo period, when Japan was secluded from the outside world. Later in the day, take part in the city's living cultural heritage with a Japanese sweet making class. 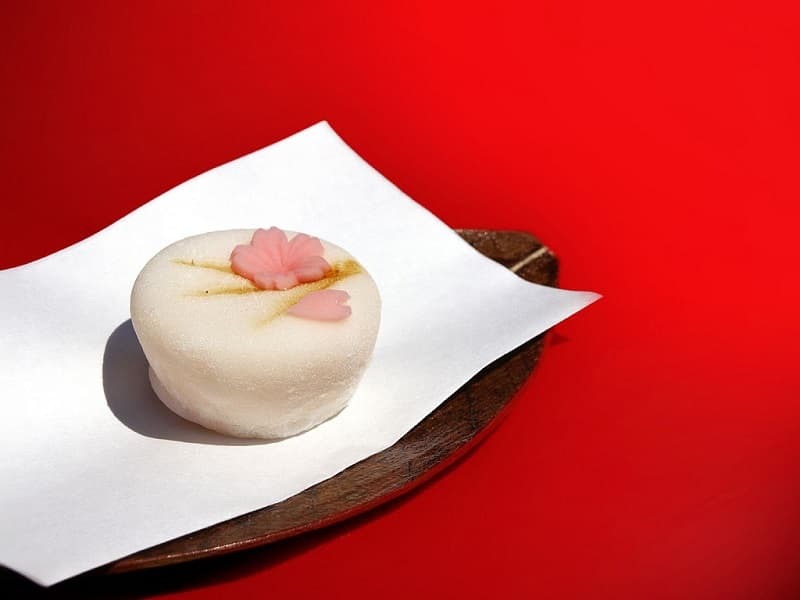 Wagashi sweets are classically used to accompany tea ceremonies, and they are a tasty to look at as they are to eat. The rest of the day is at your own leisure to self explore the city. Take one last soak in the onsen at your ryokan before starting the 4-hour journey by train to Japan’s cultural capital, KYOTO. Kyoto is home to numerous imperial sights and arguably the source of Japanese culinary tradition. The beautiful city was originally founded as Heian-kyo (literally “tranquillity and peace capital”) by Emperor Kammu in 794 and had its golden age during the imperial court's heyday from 794 to 1185. Arrive in Kyoto, then continue your Japan food tour package with a stroll through the glass-covered walkway of Nishiki Market, a seemingly never-ending wonderland for food lovers and shoppers and embark on a tour that will truly delight the senses. This is the perfect introduction to Kyoto's regional specialties – from pickled vegetables hidden beneath layers of fermented rice to delicious and ornate Kyo-wagashi (Kyoto sweets), not to mention incredible local produce, silken tofu and a renowned hand-crafted knife shop. In the late afternoon, take a step back in time on a walk through the narrow streets of Kyoto's charming Gion district and learn about the city’s geisha culture. 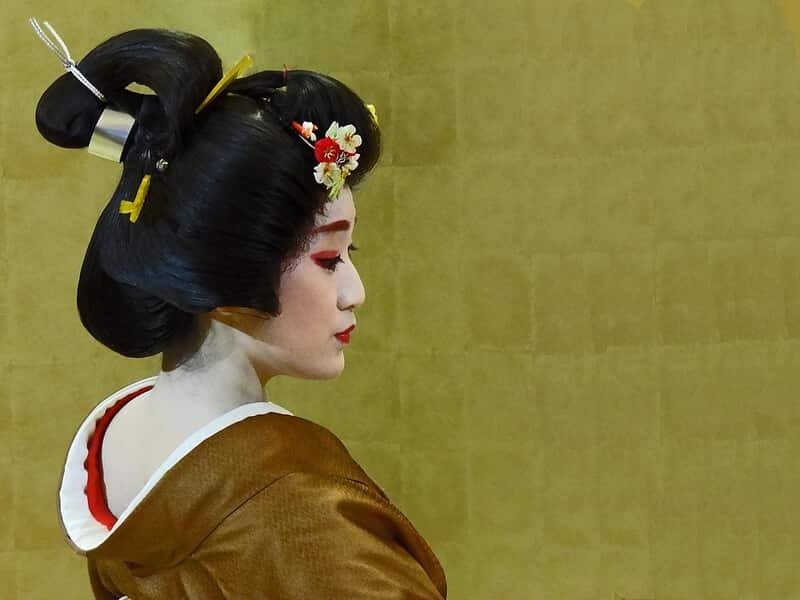 If you’re lucky you might spot geikos (geishas) or maikos (apprentice geishas) with their elaborate dress and make up. The evening is free for your own food adventure, although your guide will have plenty of suggestions. The rest of the day is at leisure. As the millennium-long home of the imperial kitchen, Kyoto is known as the centre of Japanese culinary tradition. Today, you’ll experience the simple pleasures of obanzai ryori in a cooking class. Perhaps less well-known than kaiseki in the West, the ancient style of obanzai ryori also has strict rules that must be adhered to. It follows a strictly seasonal approach, and at least half of the ingredients must be Kyo-yasai (kyoto vegetables) and other locally sourced produce. It should also embody the spiritual elements of genuine things, balance, encounter, hospitality and not creating waste. Ingredients are prepared simply, often simmered in dashi with traditional flavouring. Obanzai is down-to-earth, unpretentious and increasingly gaining popularity in Kyoto as people seek to ensure that this culinary tradition is preserved. After the class, share a simple yet hearty meal with the teacher and the rest of the group. After lunch, explore the former imperial capital with a knowledgeable local guide, utilizing Kyoto’s comprehensive bus system to visit some of Kyoto’s World Heritage Sites. Start with a visit to Nijo Castle, an ornamental castle that was originally built to serve as the private villa of a powerful feudal lord. The main building was completed in early 1600s and has since then been known for its Momoyama-style architecture, decorated sliding doors, and “chirping nightingale” floors. Next in the list is the serene Ryoan-ji Temple, which is famous for its well-maintained rock garden and known to be the Myoshinji School of the Rinzai Buddhist sect. Within walking distance from Ryoan-ji is the stunning golden pavilion collectively known as Kinkaku-ji Temple. The temple ground is relatively smaller than those in most temples and shrines in Kyoto but what is undoubtedly impressive is the pavilion that is completely covered in handmade gold leaves. OPTIONAL: This evening is free for your own rest or exploration. Perhaps find a theatre putting on shows of Noh – music, traditional dancing, kabuki and banraku puppetry or splash out on a kaiseki meal in a ryotei (small restaurants serving traditional multi-course cuisine). After breakfast today, venture out of Kyoto to explore the traditions, culture and history behind tea, which plays an important part in traditional Japanese society. Go behind the scenes of a local tea farm to learn about the long-lived customs surrounding this brew, which is more than simply a drink. Walk several beautiful tea fields in the surrounding mountains and learn about the farming process, then taste a variety of locally-grown brews: from everyday houjicha and genmaicha to premium sencha and matcha. The careful symbolism of Japanese society reaches its height in the tea ceremony, and here you might ask about the importance of the cleaning of tea utensils, the bow on receiving a cup and the three clockwise turns before a sip is taken. After the tea farm visit, return to Kyoto in the afternoon for lunch. An unknown chef in Kyoto transformed the eel (hamo) from inedible to star ingredient with the invention of a heavy knife that cut the flesh away from the many bones. Try this quintessential Kyoto taste of summer for yourself which you will only get from the best Japan food tour. 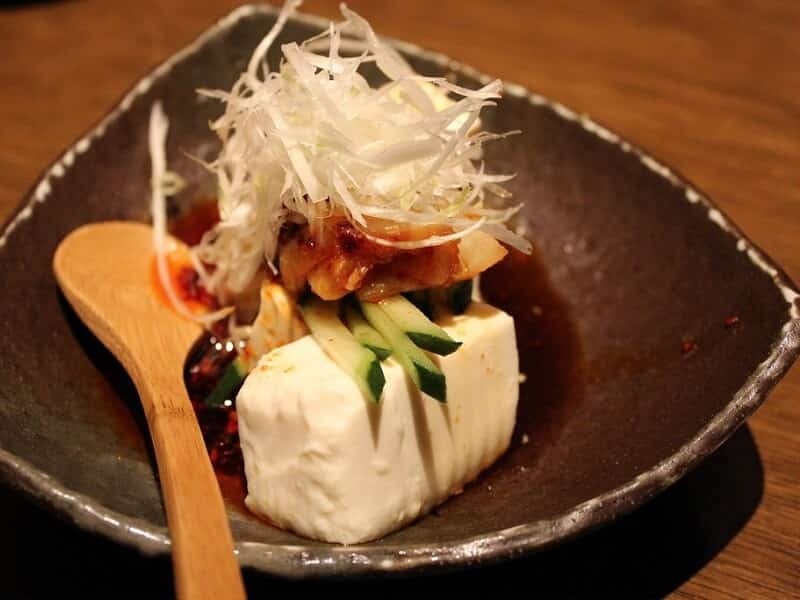 Otherwise you can try some of Kyoto’s famed smooth flavour tofu, perfected over centuries by Buddhist monks. The rest of the day is at your own leisure and self exploration. Start the Japan Food Tour today by taking the 4-hour train into Mount Koya, an important region for Shingon Buddhism. Founded in the 8th century by the Buddhist saint Kobo Daishi, Mount Koya has been a centre for religious activities for over 1,200 years. Mount Koya, and its vicinity, is a designated UNESCO World Heritage site. The journey to MOUNT KOYA is one of the highlights of the visit, with the final ascent being on a cable car, which offers one of the most scenic journeys in Japan, as it winds its way up to the mountains. 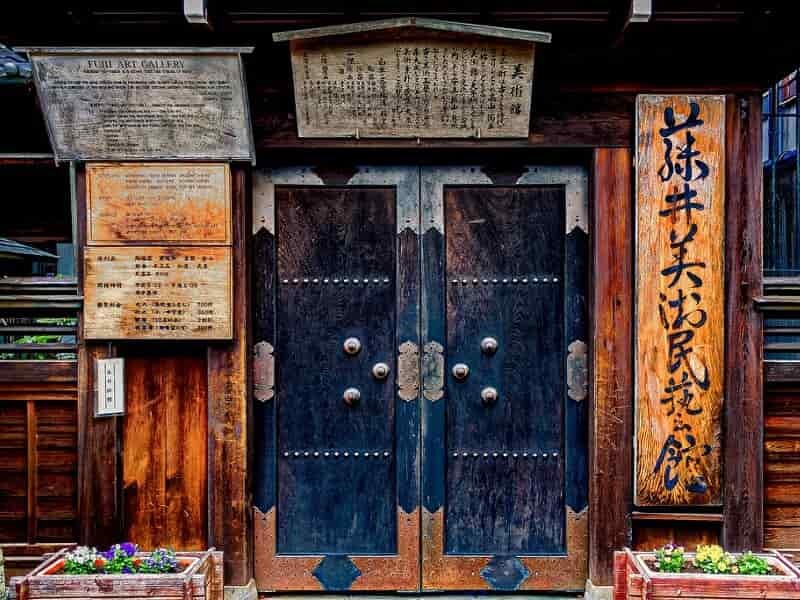 Upon arrival at Koya Station, meet your local guide and spend the afternoon exploring a couple of popular sites that give an insight to Japanese Buddhism. Visit Kongobuji Temple, the head temple of Shingon Buddhism and home to Japan’s largest rock garden. On rare occasions, guests might witness a small group of worshippers led by a monk chanting some scripts in front of the temple. 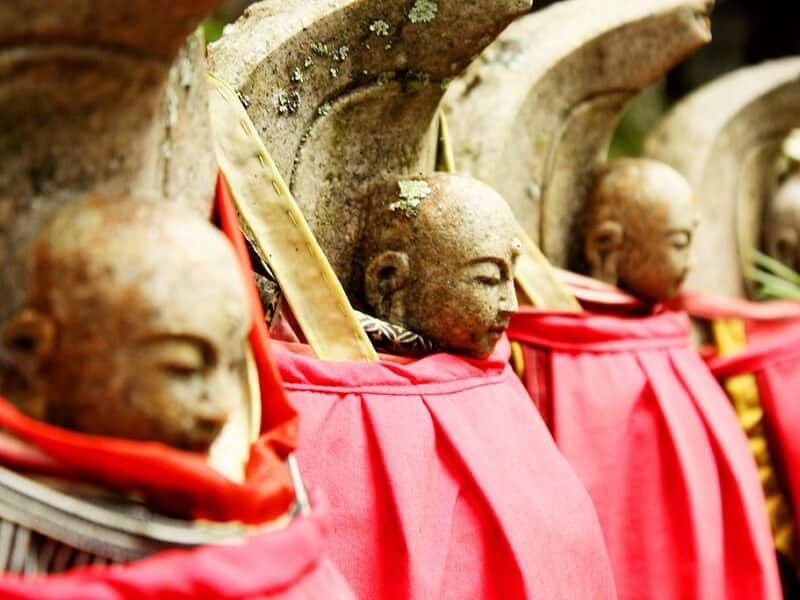 Visit Okuno-in, Japan’s largest cemetery that holds the mausoleum of Kobo Daishi, the founder of Shingon Buddhism and one of the most revered people in the religious history of Japan. The classic approach starts from Ichino Hashi Bridge and stretches up to 2km, filled with more than 200,000 tombstones that belong to feudal lords, prominent monks, and even well-known Japanese companies. Gokusho Offering Hall, Torodo Hall of Lanterns, and Kobo Daishi’s Mausoleum are located at the end of the trail. Your unique accommodation tonight is in one of the hundreds of temples still operating here. You’ll live alongside Buddhist monks and follow their routine of evening meditation and morning prayers. Temple lodgings, known as shukubo, have facilities similar to Japanese ryokans. Rooms are equipped with thin futon mattresses that are spread on tatami mats for a comfortable night's sleep. Tonight you’ll enjoy an introduction to shojin ryori, or Buddhist cuisine, lovingly prepared and presented by novice monks. Shojin ryori was popularised in Japan in the 13th century by Zen monks from China. Shojin ryori is vegetarian, and prohibits inclusion of meat and fish, following the teaching that it is wrong to kill living animals. Instead meals are prepared with seasonable vegetables and wild plants from the mountains. Overnight at a temple in Mount Koya. To have a complete experience of Mount Koya, joining the morning prayer, which usually starts at 06:00, is highly recommended. Be immersed in the calming chants of the monks inside the prayer hall (prayers are only in Japanese but some priests provide a simple explanation in English at the end of the ceremony). Afterwards, proceed to the dining room for a shojin ryori breakfast. After that, hop on the 2-hour train to arrive in OSAKA, Japan’s third-largest city and unofficial culinary capital, where the motto is 'Kuidaore' ('eat until you drop'). Upon arrival at the station, embark on a delicious Osaka street food tour to sample some of the best morsels that Osaka has to offer. Walk through Osaka’s liveliest and most colorful shopping and dining streets, starting from Doguyasuji, a unique market that sells anything related to food, from pots and other kitchenware to the lifelike plastic food models widely used by restaurants. Continue towards Sennichimae, a lane filled with small eateries that serve popular Osakan delicacies such as takoyaki, okonomiyaki, and the famed fugu (blowfish). Aside from the local restaurants, Sennichimae also hosts a few game centers and the vibrant Namba Grand Kagetsu Theater, the headquarters of a nationwide Japanese comedy brand. Before reaching the end of Sennichimae, make a quick left turn in one of the narrow alleys to see Hozen-ji, a small village temple dedicated to one of the Five Wisdom Buddhas. After offering coins, worshippers splash water on the statue of the deity before they pray. Right outside the temple grounds and just across the humble yet historical Kamigata Ukiyoe Museum is Hozenji Yokocho, a short, narrow lane lined with expensive restaurants. Your delicious Japan Food Tour concludes after breakfast. There are no activities planned for the final day and you are able to depart the accommodation at any time. Free at leisure until the departing flight from Kansai International Airport.